Brandon was born and raised a Washingtonian and graduated with a BS in Public and Environment Management from Indiana University. 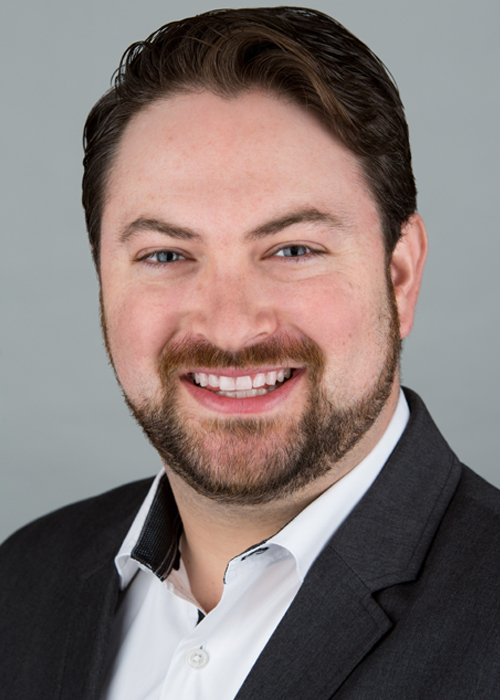 Prior to joining OGO, Brandon spent 6 years working with large and small businesses to help clients solve their commercial real estate needs and objectives. Brandon’s approach to building lasting business relationships comes from his ability to put himself in the customer’s shoes. Understanding the needs of the client and taking a strategic approach to building client partnerships is Brandon’s specialty. When you work with Brandon, you know you have an advocate at OGO who will ensure that your voice is heard and the interests of your organization are the main priority. Brandon brings a unique perspective and mindset to the OGO team. As a millennial, Brandon understands the desires, needs, and technology expectations of your newest Credit Union members. Brandon can help your Credit Union achieve its technology initiatives in a skilled, thoughtful, and sensible approach – because at the end of the day, growing your Credit Union’s member base and attracting new, young members is the name of the game. For Credit Unions in today’s extremely competitive financial market, it is all about being able to differentiate through culture, technology, and efficiency. When Brandon is not meeting with Credit Union C-level and IT staff you can probably find him either on the golf course or at home experimenting with a new grill recipe and spending time with family and friends. If you, like Brandon, enjoy talking about food, wine, and travel then you probably have a few more things in common than just your joint love of Credit Unions!